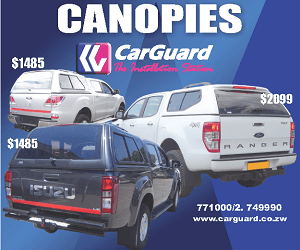 Dynamos moved one place up on the table following a 1-0 win over ZPC Kariba at Rufaro Stadium on Sunday afternoon. Emmanuel Mandiranga scored the all-important goal for the Glamour Boys in the second half. The match had an entertaining first period which saw goalkeepers from both sides taking turns to make brilliant saves. Takabva Mawaya was the first one called to action in the 8th minute after a great move by the Dynamos frontline. The goalie made another save on the quarter hour mark when Blessing Moyo connected Peace Makaha’s free-kick. Simbarashe Chinani’s turn came on the 20th minute when he cleared David Temwanjira’s effort off the line. The Harare Giants got a free-kick just outside the box on minute 32, and captain Ocean Mushure struck it to the top corner, but Mawaya made a suicidal dive to parry the ball out for safety. However, he injured himself during the save, and the play was briefly stopped. A few moments later, Tawanda Nyamandwe ran into the box, beating his marker before striking from a close range, but Chinani was at his best again to deny him. The game went to the break with both teams tied in deadlock. 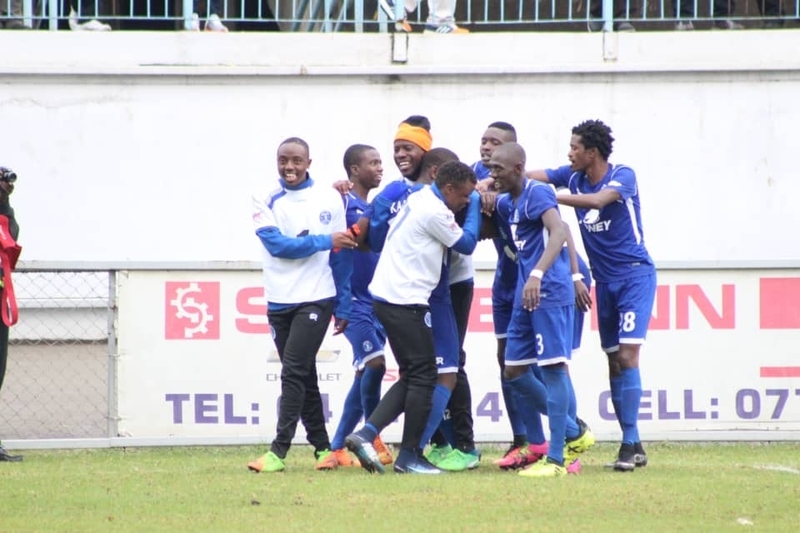 Nonetheless, the first goal of the match came six minutes into the second when Emmanuel Mandiranga flicked in Mushure’s freekick to sent the home team in front. Brett Amidu could have doubled the advantage on the hour but fired the ball over from point blank. ZPC Kariba never showed any intention of coming back, and the match ended in favour of the Glamour Boys. 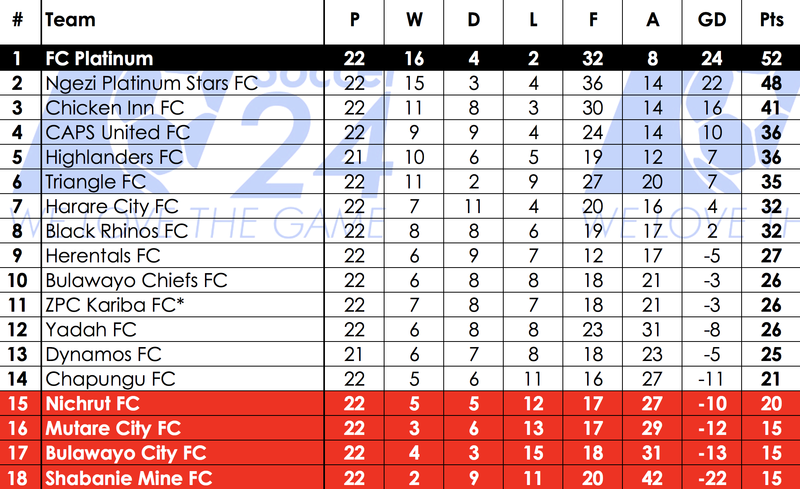 In Rusape, Shabanie Mine moved to the bottom of the table following a 2-1 defeat at the hands of struggling Mutare City Rovers. The Chinda Boys went into the lead on the 15th minute courtesy of Nigel Papius’ effort. Rovers equalised four minutes before the break through Brian Chinhoyi before Billy Vheremu sealed the much-needed victory in the second half. At Luveve, Bulawayo Chiefs edged out Harare City 1-0. Stanley Ngala scored the solitary strike in the 33rd minute. Elsewhere, Triangle beat Yadah 2-1 in a match played at Gibbo Stadium.